My views: All our ancestors have wonderful tales , specially the families who have migrated from Bangladesh or Pakistan years back. Even years after staying here , the cultural and linguistic differences are subtle yet clearly visible. But never before did I pay attention to the fact that all this are signs of evolution of a language , of a culture and yet each of us in our own ways are as similar and as different from the next person. 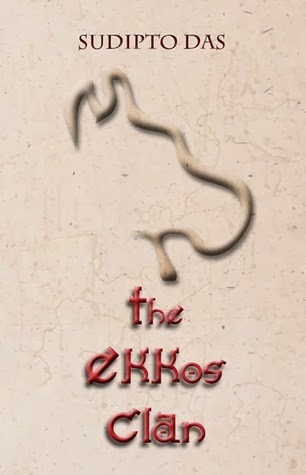 The Ekkos clan is a story of Kubha , an extraordinary lady who entertains and teaches her kids a lot of stories from her home town. Each story is then passed over years by her kids to their kids and grandchildren. what no one realizes is that the tales are deep rooted in history of civilization and hold the key to some very important facts about the origin of the oldest culture. The writing of the book is very engaging and detailed in all aspects. There is no lose threads in this tapestry of life of Kubha's lineage - both in terms of her tales and the people of her family. This book gave me enough ideas and facts to understand a few things about language and its transitions over centuries and geographies, while thanks to the references mentioned , I hope that some day I will be able to know and understand a lot more about India's rich cultural heritage and factors which shaped us this way. A must read for its thriller quotient and the way it adds to your knowledge. Win Win for me.